Wanda tyres are made by the Tianjin Wanda Tyre Group CO., LTD which was founded in 1988. It is a professional tyre manufacturer with two manufacturing facilities located in Hebei and Tianjin. The manufacturer focuses on producing high-quality environment-friendly products. They use high-end technology with great materials to create products that will make any car feel like brand new. The tyres have an extended tread life, and they are resistant to wear and tear. The cold or hot temperature doesn’t affect how the tyre performs because of the improved thread pattern and high-quality construction material. Wanda tyres are made to improve your car’s handling thanks to the improved tread pattern design. These tyres improve the car’s braking process. The thread pattern also enhances the grip of the car making your vehicle accelerate faster on dry surfaces and being easier to control on slippery ones. The white noise is also reduced making long and tiresome trips more bearable. These products come at an acceptable price range, and you can find them in different sizes, depending what your car needs. The carbon dioxide level is also lowered in comparison to other low-quality tyres. 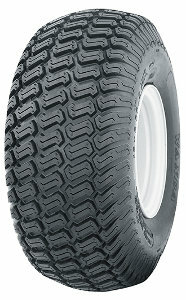 We recommend that you give these tyres a try and check them out on our virtual shop - 123spareparts.co.uk.